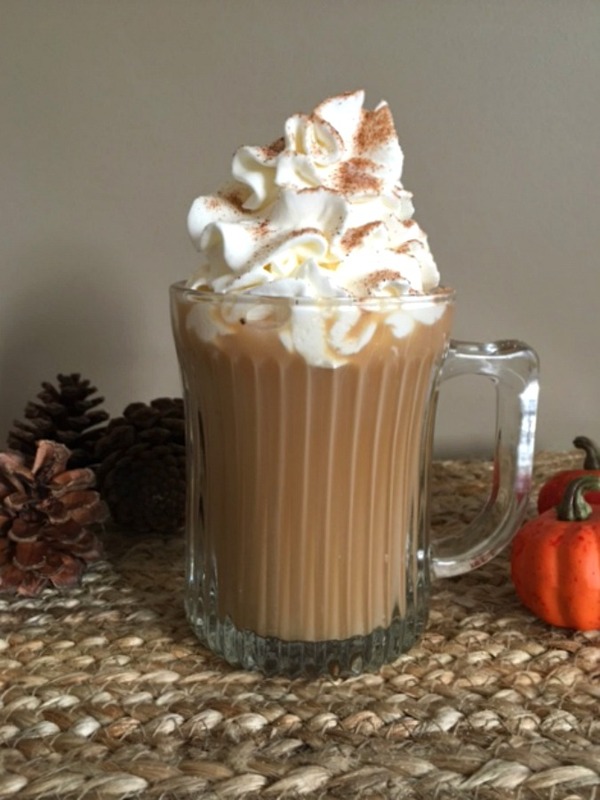 Love this smooth and luscious Pumpkin Pie Latte. Easily made at home anytime without having to run out and buy one. 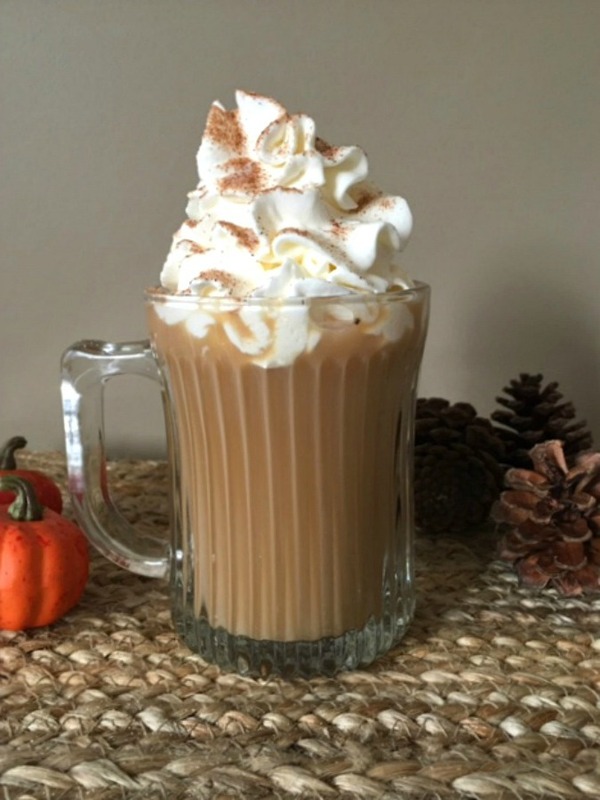 Enjoy every warm sip! 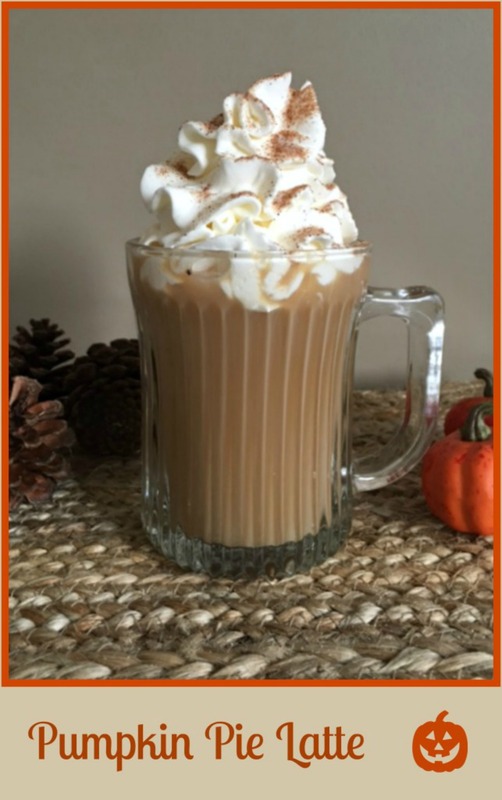 Here is a wonderful recipe for a copycat version of Starbucks Pumpkin Latte. So easy to make, you will not feel the need to pay those high prices along with the high calories and fat. 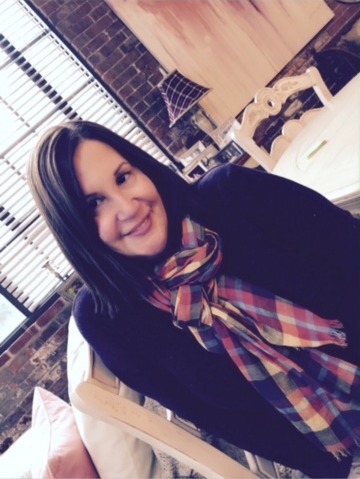 I was able to cut the fat and calories and still have the richness and smooth pumpkin latte that we are all love. Hey, if you want to run with it, go buy a big bag of the take out cups with lids at your local market. It will still be only a fraction of the cost. 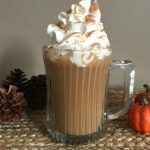 I love this drink so much and make it when guests come to visit or when I want a special treat for myself after the kids get on the bus. 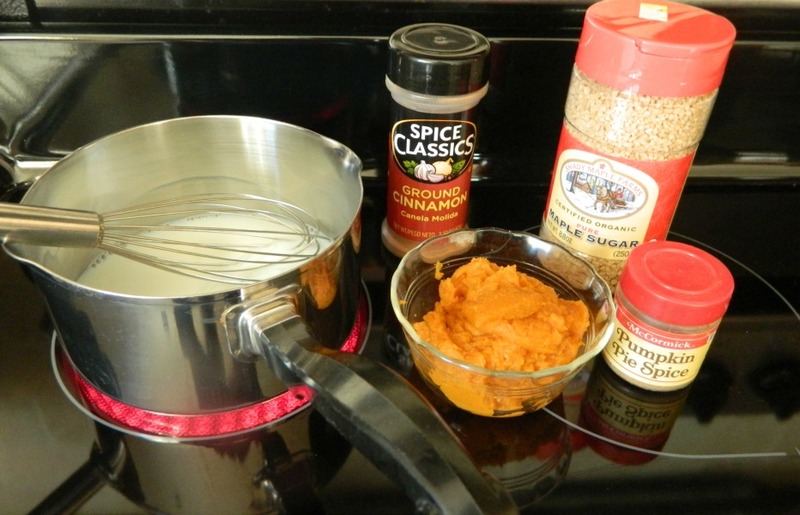 In a small saucepan heat milk with pumpkin and spices. Add in hot coffee and vanilla extract. Heat until hot but do not boil. Pour into large mug. Top with frothed milk or whipped topping. Sprinkle with cinnamon.